Welcome to part 2 of my #Eurotrip16 adventure! I hope you had a chance to check out the previous video on Croatia...the first part in this photo-adventure series, where I begin my journey and document Dubrovnik, the Dalmatian Coast, and Plitvice National Park. With the first leg of the journey done, I continue the adventure in Budapest; where I'm happy to write about a topic very personal to me...my namesake, and more importantly the proud tradition of the Hungarian National Drink, Unicum. No stranger to the name I've spent the last 35 years identifying with, I was shocked however to find I shared the namesake with a Hungarian herbal liqueur! My journey with this potent herbal libation began well over 10 years ago. I remember receiving Zwack chocolates from a relative who had recently returned from Europe. At the time I faintly remember finding the coincidence seemingly intriguing, yet paid no mind. The second time the name came up, outside my immediate family, was when a sibling returned from a night downtown, happy to share the news of a promotional team handing out free drinks of...well, us. In the coming months the Zwack name kept popping up. A t-shirt here, or a poster there...small promotional items kept creeping into our possession. I even ended up with what would become a personalized lanyard for work. It was also around this time I first tasted the bitter digestif; a potent mix of various herbs and ingredients,combining into a bitter/sweet citrus-grapefruit flavor. I will admit, it didn't sit well. A few years later and the next thing you know, I'm heading to Hungary. Admittedly I hadn't made plans directly to visit the Zwack museum, but rather work it into an already planned trip. Which brings me to my first visit to Budapest. Finishing a 2 week trip consisting of Zurich, Munich, and Prague in 2015; I learned the original distillery and museum awaited my arrival. Alas, with limited time before catching the flight home, I was unable to make it. Having spent too much time at the local baths, and succumbing to the city's lively nightlife...I missed closing by an hour! Fearing I missed the one opportunity to get answers to the historical mystery which was my life, I felt deflated. Luckily only one year later, intent on solving the question, I quickly jumped at the chance for one more shot...and thus, here we are. 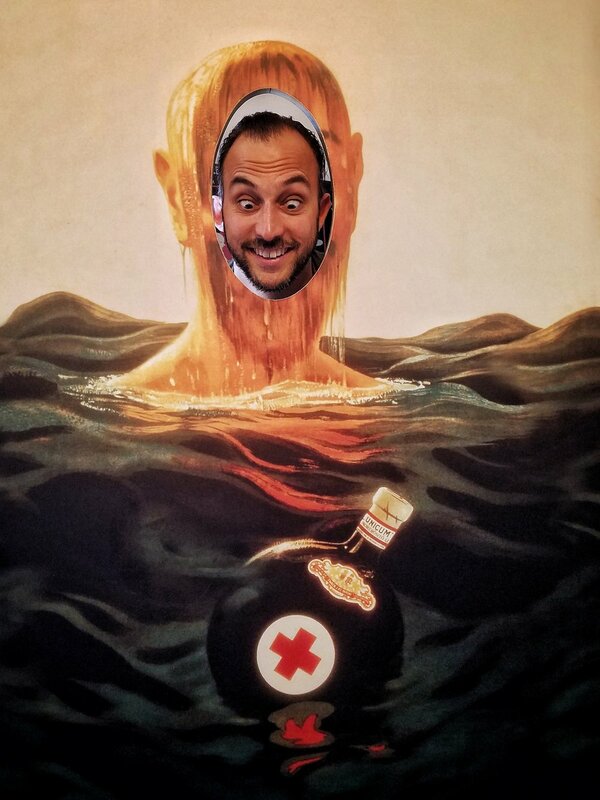 A lifetime in the making, I had made it to the Zwack Museum. 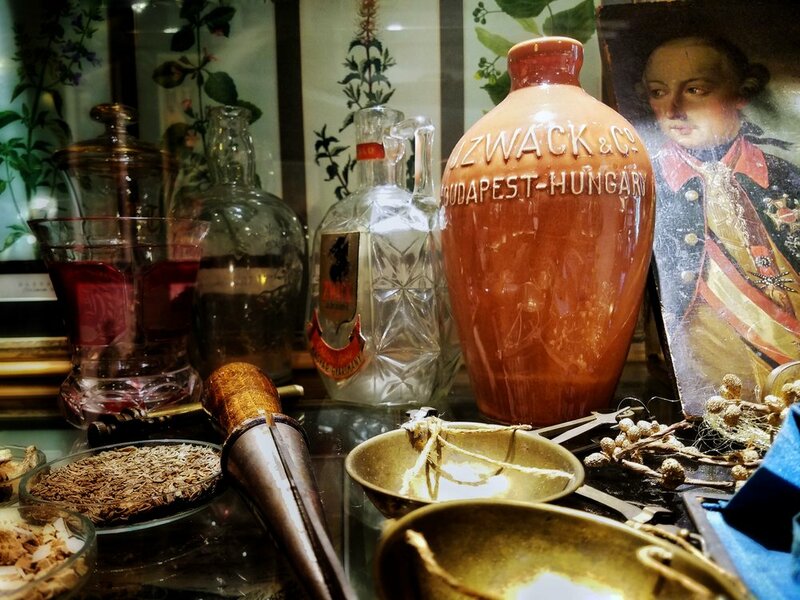 The History of the Zwack name is nothing without the herbal medicinal concoction of one Dr. Josef Zwack. The Royal Physician to the then Habsburg Court, in 1790 Dr. Josef Zwack created the "medicinal" libation in attempts to aid Emperor Joseph II's digestive issues. Made from 40 different herbs gathered around the world, at the time this was a truly unique experience. In fact, the name Unicum derives from the Monarch's appreciative response upon tasting the beverage..."Das its win unicum!" or rather "This is Unique". The Unicum name and flavorful beverage quickly swept across Hungary. Its unique circular bottle-shape soon became synonymous with the Zwack name. The popularity of the drink enabled the Zwack family to establish J. Zwack & Co., in 1840...Hungary's first liqueur manufacturer. For the next 80 years, business flourishes and Zwack becomes one of the biggest distilleries in Europe. Jump to the early 1900s; World War sweeps across Europe. With World War II comes the destruction of the original plant, leaving Hungary as a whole decimated...only to be left in the hands of a Communist regime. Patriarchal president of the time Janos Zwack and 22 year old son Peter, the Great Grandson of Josef Zwack, at this time escape to America while Bela Zwack stays behind to oversee and run the new plant. Nationalized under the Communists in 1948, the distrustful Zwacks escaped with the original recipe; leaving a second-rate knockoff in their place. Eventually settling in the Bronx, NY in 1949 and unable to return until 1988...one year before the fall of Communism. With Hungary's independence imminent, Peter Zwack's return brought with him the original Unicum formula. Eventually repurchasing the family business from the State, in 1990 Peter once again began production, this time from the original recipe. The same year Peter became Hungarian Ambassador to the United States...a place he called home for many years. Slowly rebuilding their empire the Zwacks have reestablished themselves, this time rooted in the very fabric of Hungarian Nationalism. In 2008 Peter Zwack retired, handing the company's reign over to his children, Sandor and Izabella. Their first order of business...expand to an American market. So, in 2013, roughly the same time another Zwack over 5,000 miles away first caught whiff of his Ancestral Libation, Unicum was released on an American market. Fast-forward to September 26, 2016; I find myself touring the museum and original distillery, confounded by the colorful history of distant relatives. Although I'm yet to confirm any direct relation to the industrious family; I can't help but imagine where the lineage split. I spend my time contextualizing the vast history and my place in it all, I even shock our tour guide upon revealing the name on my I.D. Admittedly the first Zwack outside the family she'd come across, and as insistent as I was, still denied knowledge of the secret formula. 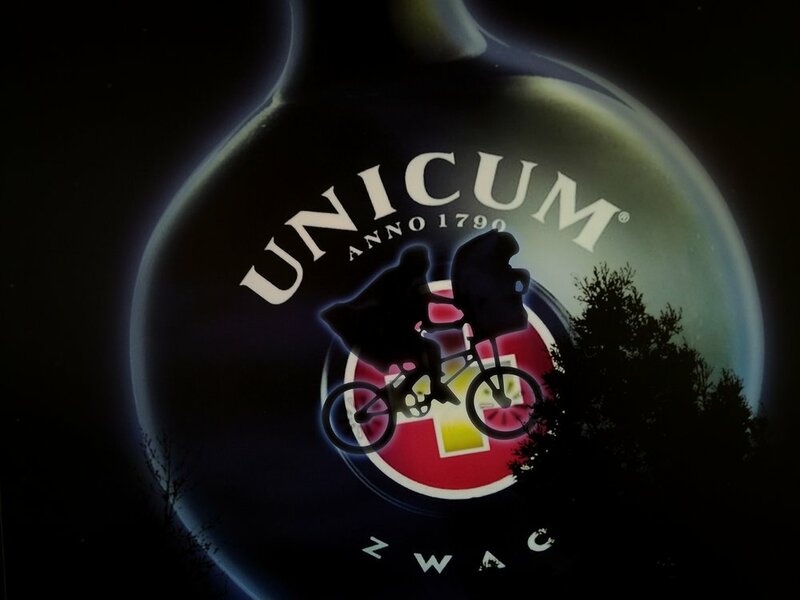 The Zwacks continue to keep the Unicum brand a secret family tradition, and have released 3 versions of the famous libation...Unicum, Unicum Plum, and Unicum Select...which is marketed as Zwack in America, and the only variety available in the States. I've been told older generations take to the rich history of the original recipe, while younger generations appeal to the Plum and Select varieties. Best shared in a family setting, at your next homecoming, crack a bottle and discuss your family roots...you may be surprised what you come across. 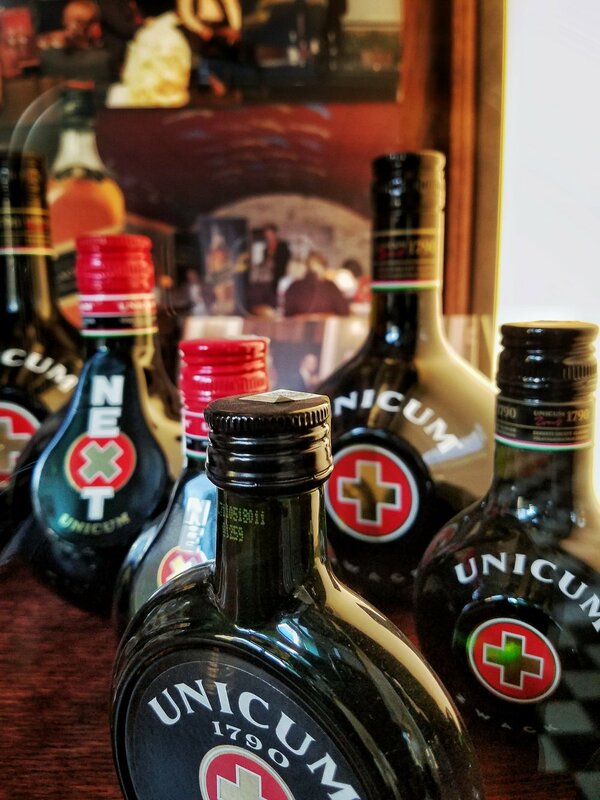 If you wish to learn more about the Zwack family and Hungarian National Drink, Unicum...be sure to visit their website. This post is dedicated to the upstanding staff of the Zwack Unicum Museum. I'm forever grateful for the experience of walking in my historical footsteps. If in Budapest, be sure to stop by, say hello, and pick up a bottle! Thanks for sticking it out, I couldn't help but share such a unique brush with History; next post will revert focus back to photography and the best places to shoot in Budapest...so stay tuned and sign up for Email and YouTube notifications to be kept in the loop. Until next time. Keep shooting and be the change!